The CSFG has announced it will be opening to submissions on 1 August for its newest anthology, A Hand of Knaves, to be published in late 2018 and edited by my good friend Chris Large… and yours truly! I’m not sure this is the most sensible decision of my life – I’ve got plenty of stuff going on next year after all (*cough*The Beast’s Heart*cough*), but Chris asked so nicely and I think the concept (which is totally his), of an anthology of stories about scoundrels and ne’er-do-wells is just brilliant. My imagination has already exploded with ideas! We’re going to be looking for stories of up to 5000 words featuring knavish characters who are anything from mischievous rogues right through to evil bastards. It’s got to be speculative; we want a good mix of sci fi, fantasy and horror and all the sub-genres in between. We welcome stories from and about the full and glorious spectrum of human beings. Our main criteria (apart from those listed above) is that it just has to be good. 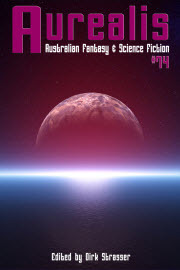 The catch is that, given CSFG anthologies are a showcase of Australian speculative writing, you do have to be Australian, or an Australian resident, or at least a member of CSFG to submit. Head over to the CSFG Publications page to find out more about the kinds of stories we’re going to be looking for and how to submit. You sure are going to have your work cut out for you! I can’t wait to see how it all goes. I am quite excited about it – but also a bit scared. Eeek. You’ll do a great job! And we’re all here if you need a hand.